Ammalife invests in people who make change happen. We support people with experience to develop their expertise so that, ultimately, many more mothers will survive childbirth. 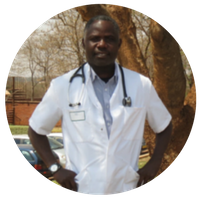 Stanley worked for many years as an Anaesthetic Clinical Officer in Malawi. Clinical Officers are trained in many of the procedures that a doctor would undertake in the UK but have a much shorter technical training. In practice, they often carry heavy responsibility for their patients but are denied a voice in decision making. Stanley was a very proficient and compassionate technician and seized every opportunity to learn more. 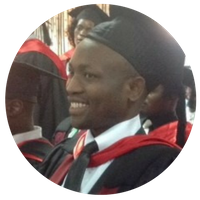 He undertook a short course on anaesthetics in obstetric emergencies and later won a place at medical school in Tanzania. Now Stanley is in his final term and plans to return to Malawi as soon as he qualifies. None of this would have been possible without Ammalife’s support. As a doctor, he’ll be able to educate a new generation and may even become Malawi’s first anaesthetist specialising in the care of very sick mothers. Yolam was awarded the Joseph O’Hare Ammalife Bursary so that he could qualify as a doctor in Malawi. While Yolam was working every day as a Clinical Officer, for over three years, he spent any spare time working for a distance degree in Obstetrics and Leadership from Warwick University. Yolam’s fees at medical school are covered by an Ammalife endowment established by his senior Warwick tutor. As a medical student, Yolam can deepen his understanding of disease. He has successfully completed the first part of the course covering medical sciences and is now able to use that knowledge in his clinical training. When he qualifies, Yolam will be working for mothers in Malawi, and will be well placed to integrate the skills of Clinical Officers into a more seamless service for mothers most in need. Soha came to Ammalife as a volunteer. Originally from Birmingham, she had been working as a junior doctor in London and wanted to broaden her experience by working overseas. She impressed us with her commitment and we helped her to find a placement at Malawi’s main teaching hospital, QECH. It’s a world away from the London teaching hospitals she knew. Labour Ward is short staffed, essential drugs are often out of stock, even the building itself is crumbling in places after more than 50 years of withstanding tropical weather. More than 11,000 mothers give birth there every year – more than at any maternity hospital in the UK. Abi was working as a junior doctor in Bristol when we awarded her an Ammalife Fellowship. 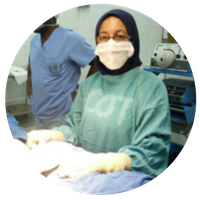 She had experience of working alongside health workers in Zimbabwe, developing skills in emergency obstetric care. 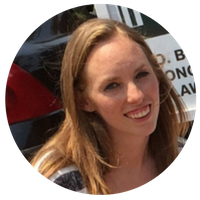 Much of Abi’s research has been in Malawi where the focus has been on working alongside midwives, nurses and Clinical Officers to find out what works best and why. Placing the focus on what is working well enables all to see how good ideas and practice can be built on to create the best possible service for mothers and their babies in the Malawi context. Health workers themselves identify and share good practice, building long term capacity that isn’t reliant on outside aid.